Public property trees are pruned in accordance with the American National Standards and care is taken to ensure the health of the trees and the urban forest as a whole. Xcel Energy is responsible for pruning trees along powerlines. For information regarding powerline pruning, please call Xcel Energy at 1-800-895-4999. Residents should refrain from pruning trees, but notify Forestry with trees of concern. 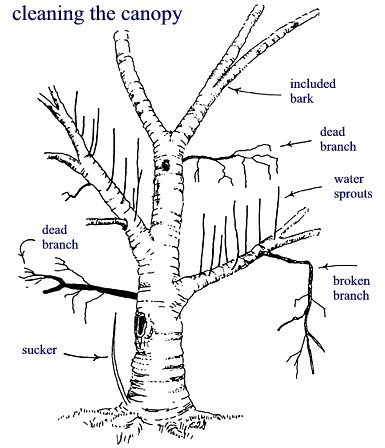 However, residents may prune suckers from trees. Contact Forestry with any pruning requests.